Apple han't yet posted its out-of-warranty price for replacing a broken screen of the iPhone XR, but the new XS and XS Max will set you back $279 and $329, respectively. That's way more than what Apple used to charge for the screen swaps on its previous iPhones, even the X, but these new OLED displays don't come cheap. The iPhone XR, on the other hand, has a run-of-the-mill LCD screen whose resolution is a tad over the HD mark, but the notch roundabout and the water-tight certification will still make replacing the XR's display a comparatively costly affair. Thus, if you know you can't be bothered caring for your phone, better slip it in a case and get it a screen protector for extra piece of mind. We've listed a few of your best screen protector options for the iPhone XR below, so it can be defended from day one. This investment can save you a Benjamin or two in screen replacement prices unless you splurge for AppleCare insurance, but that doesn't come cheap now either. A member of the "atomically-strengthened" series by Moshi, the new AirFoil for the iPhone XR is just 0.3mm thick, clear and durable, but its main added value is the special adhesive that makes installation very easy. The glue prevents bubbles from forming while you are putting it on, dealing with the most annoying DIY aspect of applying a screen protector. 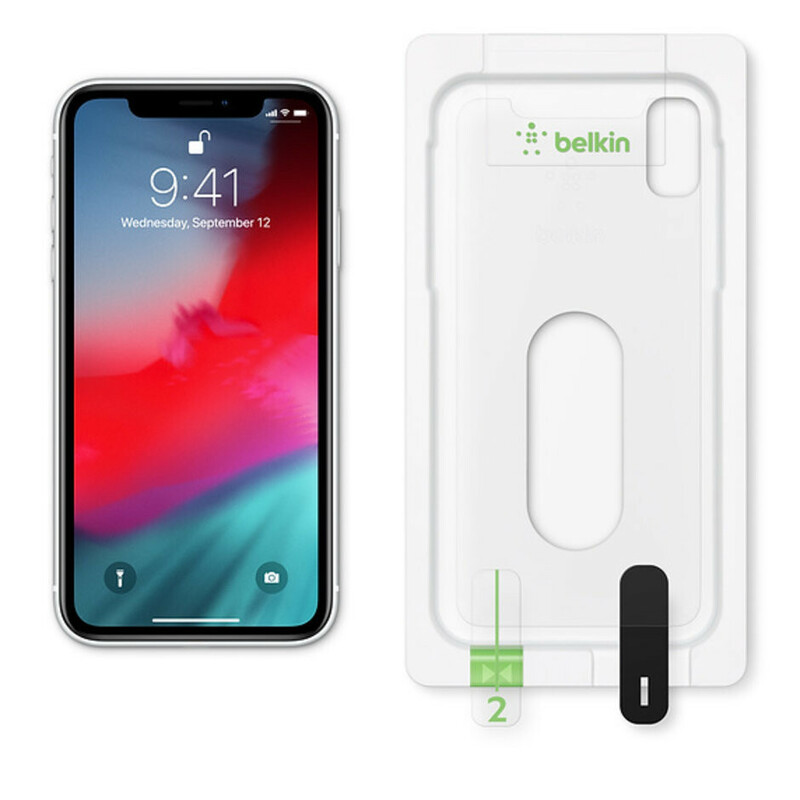 The AirFoil is also just $5 above Apple's film protector by Belkin, so it's worth every penny, compared to the other options. 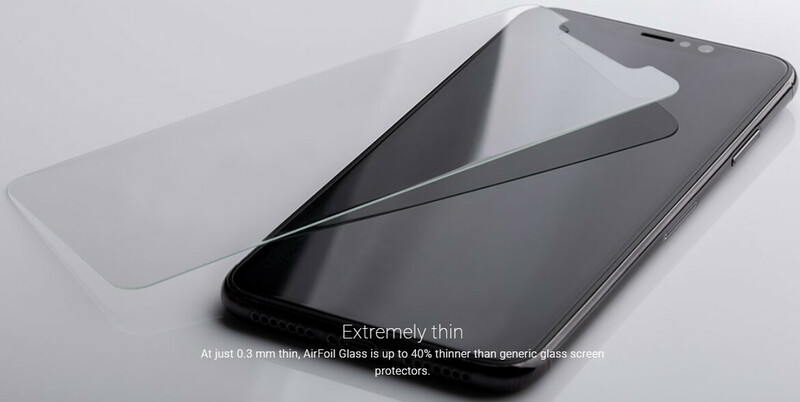 Available exclusively from Apple, Belkin's InvisiGlass is thinner - 0.33 vs 0.29mm - and stronger than your usual tempered glass screen protectors. The so-called Ultra model here is strengthened with an ion-exchange process and tested against a key, coin, and other everyday objects' scratching. 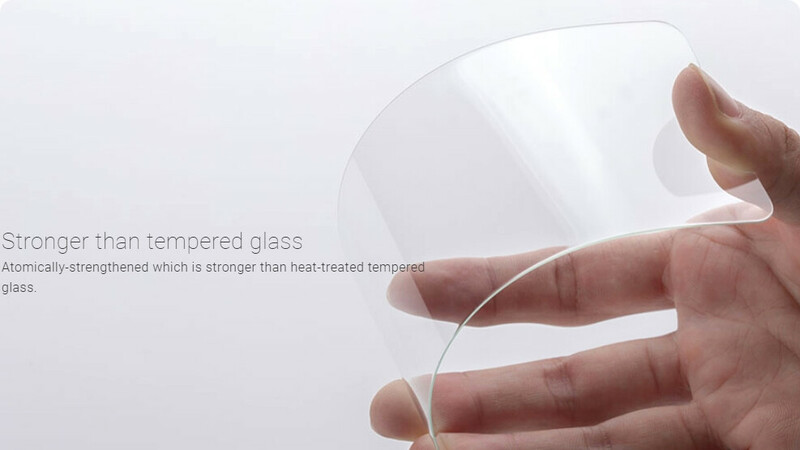 The highest-level 9H hardness is complemented by superior touch sensitivity and clearer visibility due to the thinner glass stack. Last but not least, if you can't have it applied in an Apple Store, you can simply order from the Amazon link here, and the EasyAlign sticker will help you install it at home with a relative ease. The cheapest option for protecting the display of the iPhone XR comes fromTechMatte in a pack of three. These glue to the whole of the active area and offer scratch-resistance as well as smudge-free coating. Granted, they don't seem as thin and elegant as the other options here, but at three bucks apiece, one can't ask much else from TechMatte's amFilm series which has proven to be pretty popular as far as budget screen protection options go for a good reason. 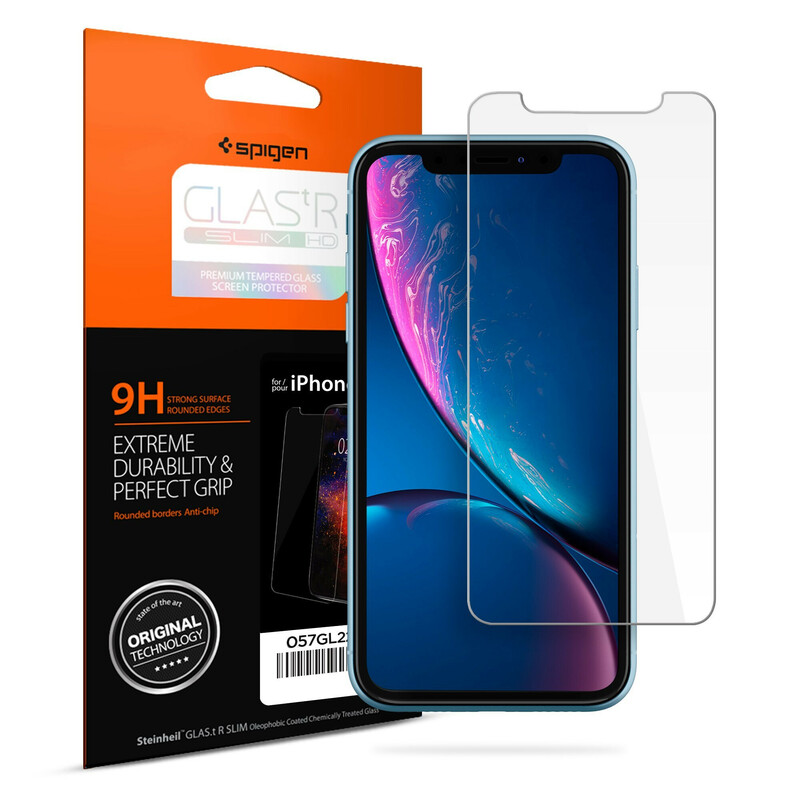 Spigen's slim GLAS.tR is a simple tempered glass protector that is made to fit with the company's popular line of cases for the iPhone XR. Yes, that includes the AirSkin which we included in our roundup for the best thin and clear XR wrappers. The wing stickers make installing it extra easy, and it sports oleophobic coating so that you can't tell it apart from the original screen cover itself. 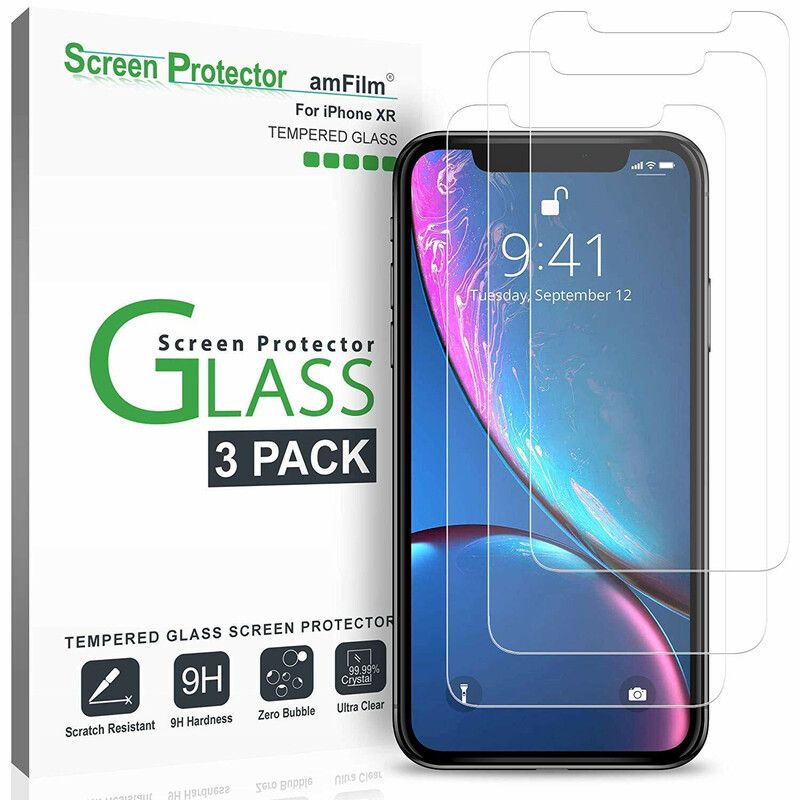 Engineered for extra 3H hardness, this budget option of a film protector provides clear viewing and scuff-resistance and has earned its mettle enough to be featured by Apple itself as a third-party screen protector for your iPhone XR over at the Apple Store. I'd take any one that comes with the alignment guide. We all hate applying these things.